Tennis star Venus Williams attended a deposition hearing as part of a wrongful death lawsuit that was filed against her for a car accident in June that resulted in the death of a passenger in the vehicle Williams hit, according to NBC Miami. Reports indicate that witnesses told police that Williams ran a red light in her 2010 Toyota Sequoia resulting in catastrophic injuries to a 78-year-old man who died two weeks later in the hospital. To get a sense of how the plaintiff, defendant, or other witness will testify at trial. During a deposition, you will be required to show up at a specific time and place and provide testimony under oath. This means what you say is legally binding and if you are untruthful, you can be held in contempt of court or have your untruthful statements used against you at trial for impeachment purposes. 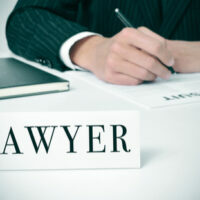 There is usually a court reporter present during the deposition, along with your Miami personal injury attorney and the attorney for the defendant. When a personal injury lawsuit is filed, it is quite common for both your attorney and the attorney for the defendant to request depositions. They can become mandatory through the use of a subpoena. This is a legal document requiring that you attend the deposition. In order to conduct a deposition, your attorney must provide reasonable notice to the defendant, or defendants. The deposition can be held in virtually any location, but is most typically held in the office of your attorney or the defense attorney. There will be questioning conducted by one attorney, then a period of cross-examination by the other lawyer. Once cross-examination is complete, the first attorney can engage in follow-up questions. During the examination, the other attorney has the right to object, which is noted in the record of the deposition. Your attorney might instruct you not to answer a specific question, but that only occurs if a question is truly outside the bounds of the case. If you are being deposed, it is important to follow the one-sentence rule. This means you should not feel like you are obligated to elaborate or expand upon your answer, unless the attorney conducting the examination asks additional questions. You should also know that you are not required to sit through the entire examination non-stop. You can take breaks when needed. Depositions can be intimidating and overwhelming. This is why it makes sense to have the counsel and advice of experienced Miami personal injury lawyers on your side. The law firm of Alan Goldfarb, P.A. is here to help. Contact our office today to schedule a free, confidential consultation with one of our attorneys.